Judge Vincent C. Crawford was appointed on January 1, 2019 to the position of Chief Judge of the Stone Mountain Judicial Circuit Juvenile Court. 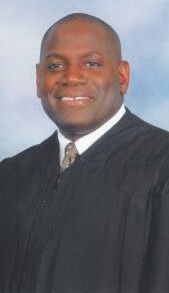 Judge Crawford is a Savannah native and the son of Gerald and Bessie Crawford. He’s a graduate of H. V. Jenkins High School and a honors graduate from Florida A&M University in 1987 with a bachelor’s degree in Political Science. He received his law degree from Mercer University in 1990. In 2016 Judge Crawford as Chairman of the Georgia Court Improvement Project was the only Judge in the United States to be invited to the White House by President Obama to present on CPRS2. CPRS2 is the only cross agency software program system in the United States created specifically for Juvenile Court in Georgia.